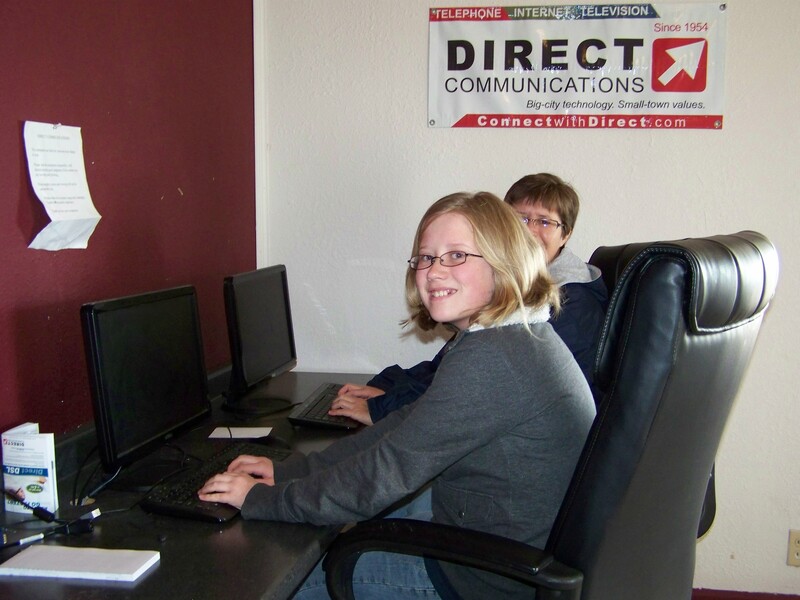 Last week we closed the doors of the Direct Communications Oxford Community Center after two years of serving that community with a free internet and computer center. However, our high-speed internet service will continue to be available to residents at their homes. Oxford, Idaho, is a very small town nestled right up against the mountainside in a pretty valley west of Preston. A drive through Oxford is almost like a drive through time. At the center of town is a small dairy still in operation, and certain things are probably no different than they were 120 years ago. The house we rented to house the community center was probably built over 100 years ago, but there weren’t a lot of available options. Next to the center were a couple of horses running in a pasture, and cows grazing on the hill behind us. However, even in very small rural American towns like Oxford, broadband technology is everywhere, and this is a clear indication that the existing programs in place to bring broadband to rural america are working. There is a brand new cell phone tower overlooking the town. A fiber optic line runs directly through town—part of our fiber loop running between Downey and Preston, which Direct Communications laid in 2008. This fiber route to Oxford was financed in part by RUS funds, and part of the agreement with the RUS was that we would provide an opportunity for the residents there to experience high-speed internet service. Two years ago, Leonard May and I knocked on the door of each home in town, to find out who would be interested in having fiber to the home, since we were already laying a fiber line through the area. We didn’t get a overwhelming response—in fact—thinking back, I can’t remember a single person who was very interested. So, our plans to install fiber to the home were shelved. However, we installed a wireless access point in town feeding directly from our fiber and opened the community center with help from Dana Cox, whom we hired as our agent in Oxford, and who would manage the center for the next 2 years. Dana also hired Phyllis Murphy, along with a couple of other local Oxford residents to keep the center staffed and always open from 12pm-6pm each weekday and on Saturday mornings. We installed countertops and set up 10 new computers with high-speed internet connections, a phone, and a printer. Dana kept a log of all the people who visited the center, and I was initially surprised at how many people visited each day. The Oxford Community center was well used. Dana was a wonderful representative for us in the community, and we would like to publicly thank everybody who staffed the community center. We hope that those who visited the center had a good experience a nd will have a positive lasting impression of Direct Communications. 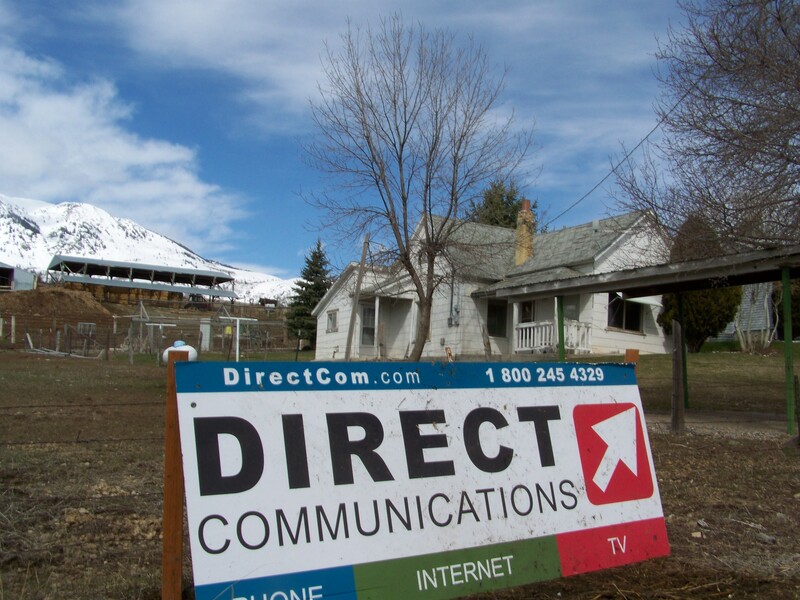 Residents of Oxford who want to continue using high speed internet should call us to install wireless internet at their home at 208 237 9729. Regular rates will now apply.